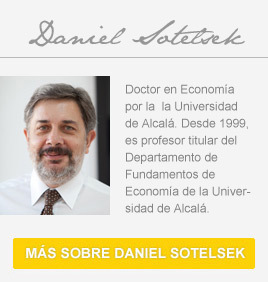 Esta entrada fue publicada por Daniel Sotelsek. Guarda el enlace permanente. In some countries, as much as 90% of the population lacks access to the formal financial system. This impedes their participation in the global economy by restricting their ability to buy goods and services, to borrow and save, or to invest in their future and that of their community and country. A well-functioning financial system is a crucial part of development, promoting economic growth and reducing poverty. If market functions well, funds will likely be allocated to the most productive users, which will contribute to economic growth and poverty reduction. However, when the market does not function properly, it loses growth opportunities. A financial system becomes more efficient and functions better when it is more inclusive. As a financial system becomes more inclusive, it provides more growth opportunities to more individuals and entrepreneurs. However, when the financial system serves only limited segment of the population, the society is likely to lose opportunities to grow. The goal of financial inclusion has been widely embraced, and the right combination of political will and technology make it seem attainable, there is a link between financial inclusion and financial education which teaches the knowledge, skills and attitudes that people can use to adopt good money management practices.